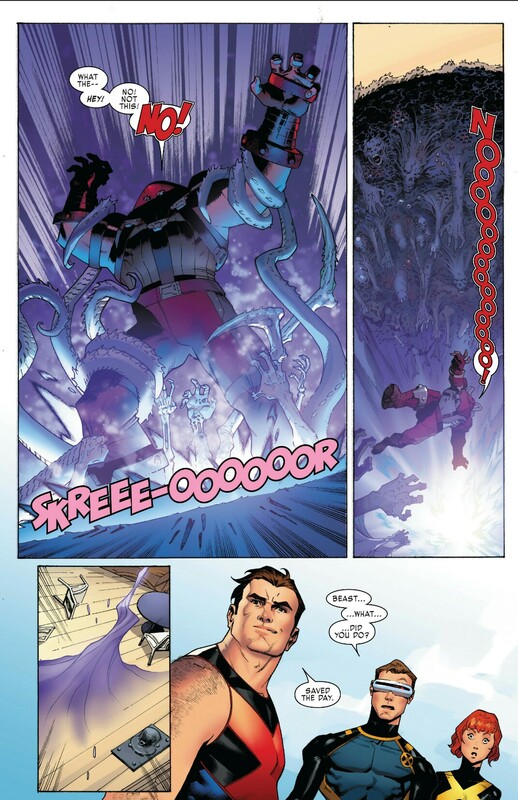 Its a surprising twist in X-Men Blue # 1 with Beast now being an able magician even managing to take out the returning Juggernaut. In this issue, we find the X-Men cornered and pretty much spent fighting the Juggernaut. They tried booting him off the boat but that didn’t work. 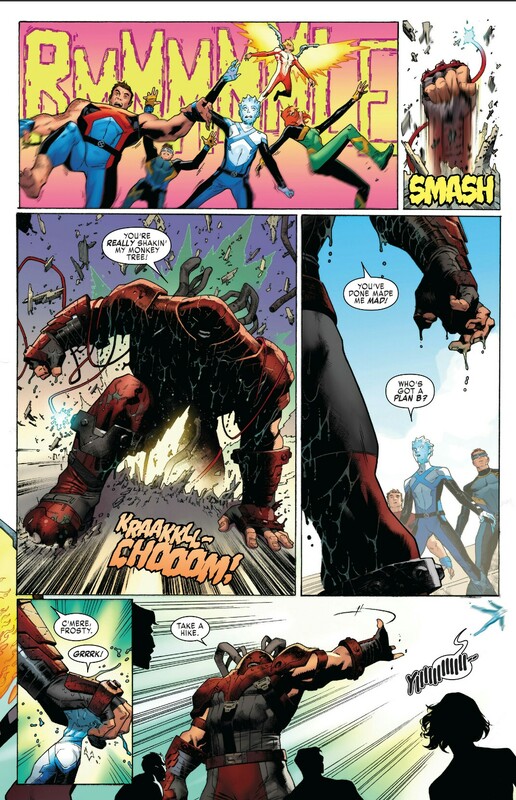 We know that Juggernaut still has a heart though because he could have easily crushed Iceman’s head but instead throws him away. With Jean Grey aka Marvel Girl too shaken to do anything, Beast aka Hank McCoy uses his newfound skill in magic. The results are instantaneous and we see a portal open up with demons pulling poor Cain Marco away from the scene. Black Tom has been dispatched earlier so now the Original 5 need to deal with the passengers of the ship. 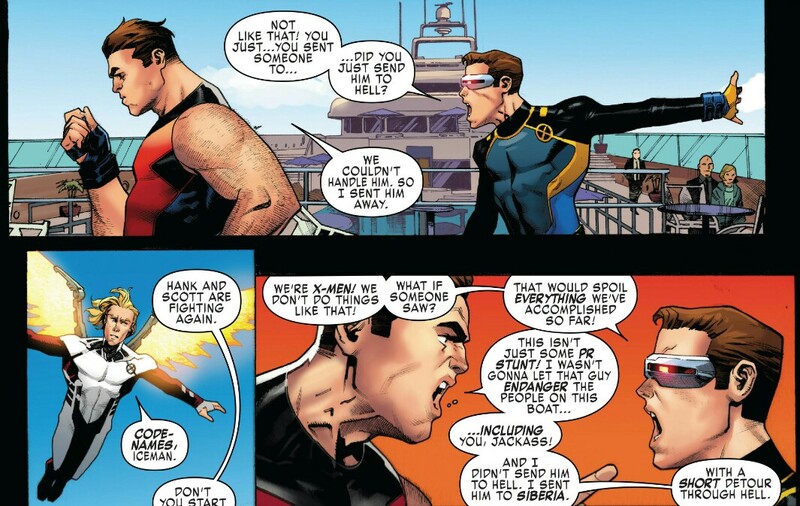 We also see another argument build up between Hank and Scott Summers aka Cyclops about whether it was a good idea to use that kind if magic on an enemy. This would be interesting under the hands of writer Cullen Bunn and it would seem that he has something in store for Cyclops and Beast as the book progresses. Hopefully we get to see this develop. 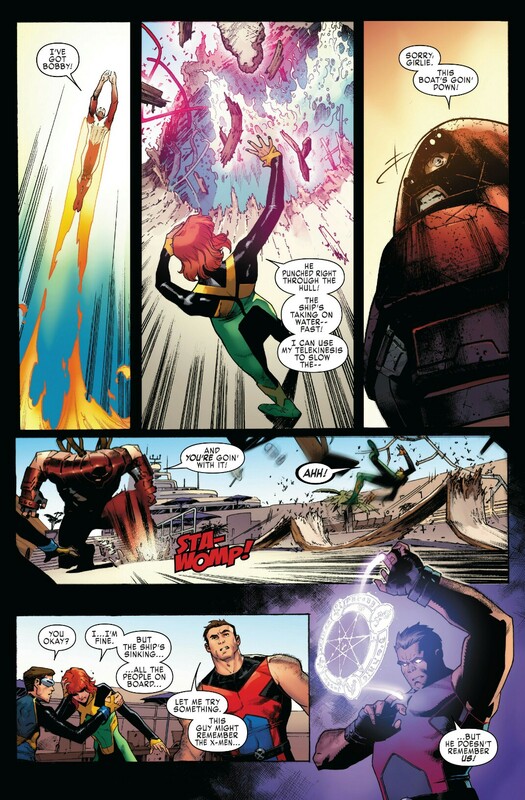 As well as Jean Grey becoming an able field leader. 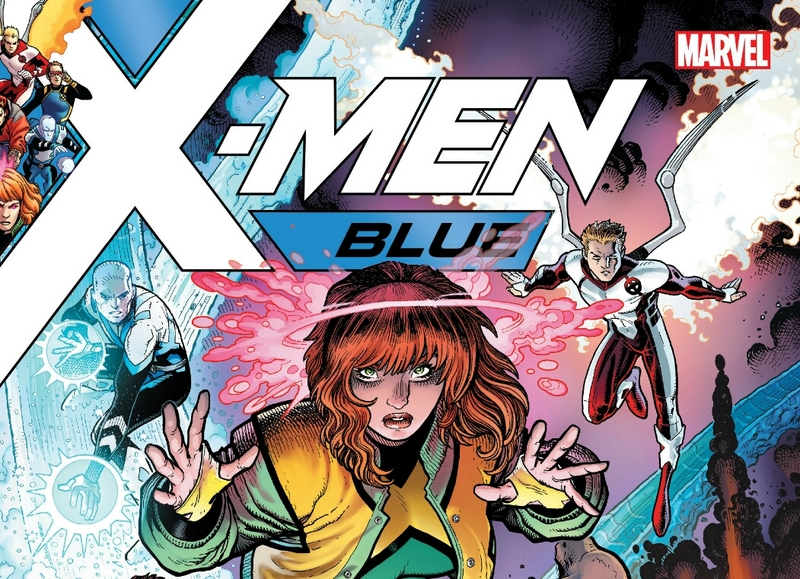 X-Men Blue # 1 is out now out. Go pick it up from your LCS.